The mixed or biliary constitution, whilst being prone to disturbances exhibited by both the Lymphatic and Haematogenic Types is, in the main, more prone to liver, gall bladder and pancreatic disturbances, flatulence, constipation, diabetes and blood diseases. Description – In many cases the iris appears uniformly brown and is therefore often confused with the Haemetogenic Constitution. Deeper observation however reveals that only the upper, cryptic leaf shows brown pigmentation with the lower leaf showing through as bluey-green. Usually, however, the iris will show clear areas of blue and contrasting brown areas. 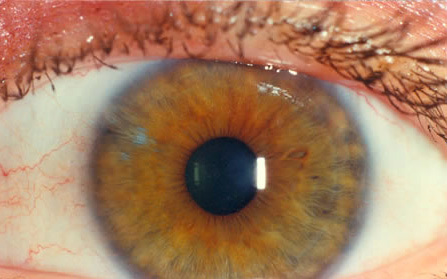 Contraction rings are often in evidence as is the darkened central area (central heterochromia). Sometimes sectorial heterochromia is evident. Occasionally, lymphatic tophi of various hues are also present. Inherent Tendencies – Flatulence; constipation; colitis; hypoglycaemia; Diabetes; blood diseases; gall-stones; liver, gall-bladder, bile duct and pancreatic disorders; gastro-intestinal weakness with spasm; Haematogenic and Lymphatic Constitutional strengths and weaknesses.